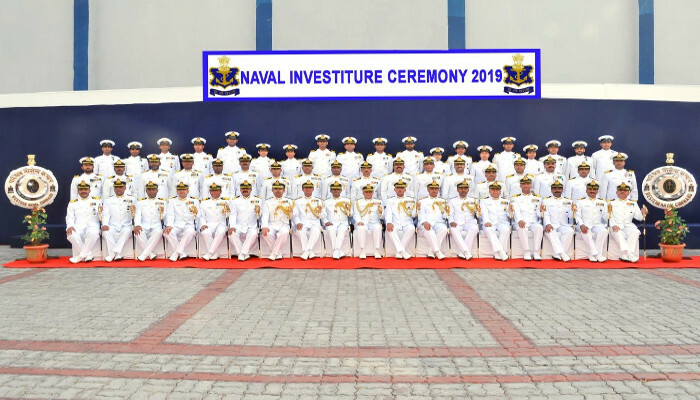 The Naval Investiture Ceremony for 2019 was held at INS Shikra on 10 April 2019. 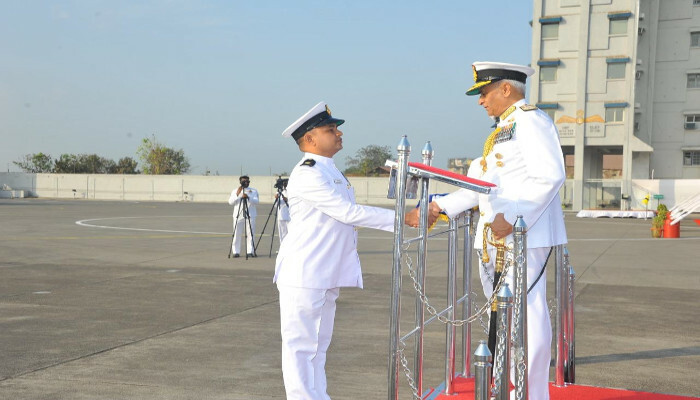 Admiral Sunil Lanba PVSM, AVSM, ADC, Chief of the Naval Staff, on behalf of the President of India, conferred Gallantry and non-Gallantry awards announced on the Republic Day this year to meritorious personnel, as well as citations to naval units which have distinguished themselves during the past year. 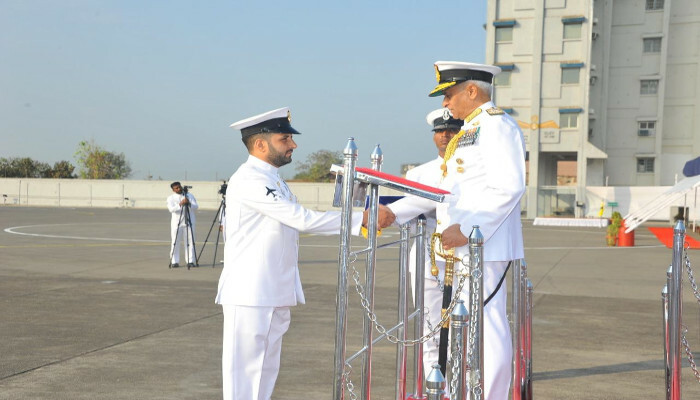 The ceremony was witnessed by senior dignitaries of the Indian Navy and families of the awardees. A 50 men Guard of Honour was paraded during the ceremonial parade which was held as a part of the Investiture Ceremony. 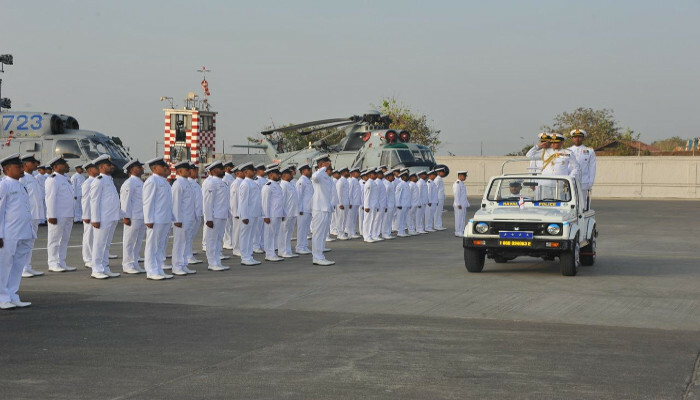 The Guard of Honour was inspected by Admiral Sunil Lanba prior reviewing the parade comprising 18 platoons of naval personnel drawn from various ships and establishments of WNC. On completion of the review, the CNS awarded the medals, citations and CNS Trophy for Best Green Practices to the various recipients. 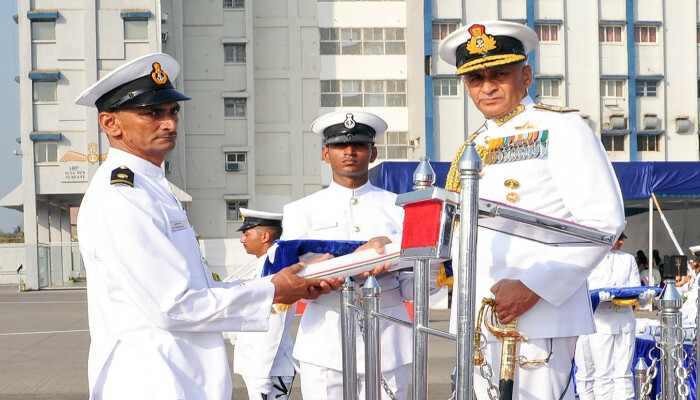 45 medals which included 18 Nao Sena Medals for Gallantry, Nine Nao Sena Medals for Devotion to Duty and 16 Vishisht Seva Medals for distinguished service, the Captain Ravi Dhir Memorial Gold Medal for Promoting Innovativeness in Flight Safety and the Lieutenant VK Jain Memorial Gold Medal for best applied research in Naval Technology were presented. 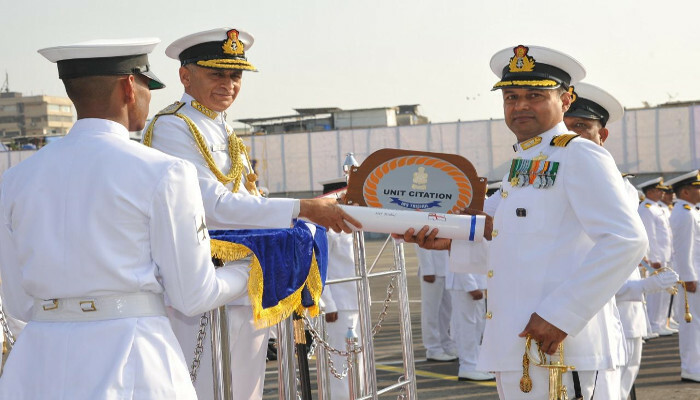 The CNS also presented Unit Citations to four afloat units, viz INS Trishul, INS Sahyadri, INAS 322 and INS Tarasa and four ashore units viz NSRY, Kochi, INS Utkrosh, INHS Kalyani and Material Organisation, Mumbai for delivering exceptional performance over the past one year. 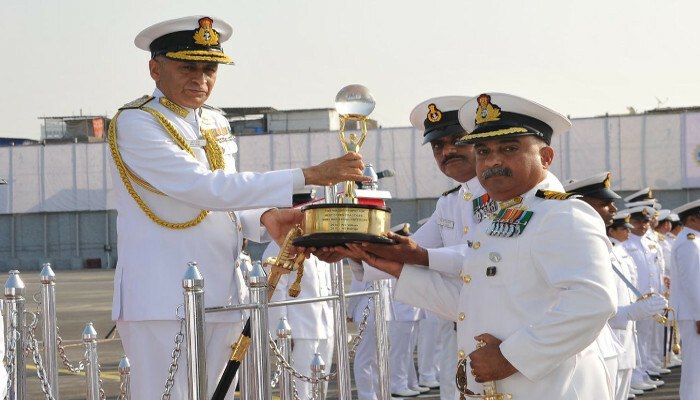 Naval Dockyard, Vizag and INS Dwarka were awarded the ‘CNS Trophy for Best Green Practices’ for their environment friendly green initiatives. 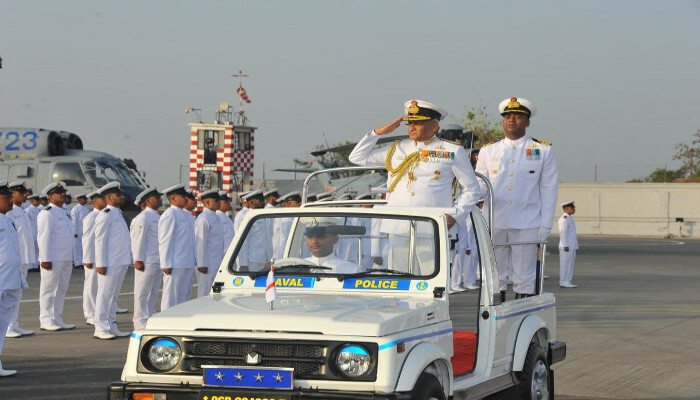 Speaking on the occasion, Admiral Lanba said that the occasion is of special significance as it has allowed the Navy to formally acknowledge conspicuous acts of gallantry, as well as devotion to duty, of fellow shipmates. The Admiral thanked the family members of the award winners for their support to the service personnel in performance of their duty.